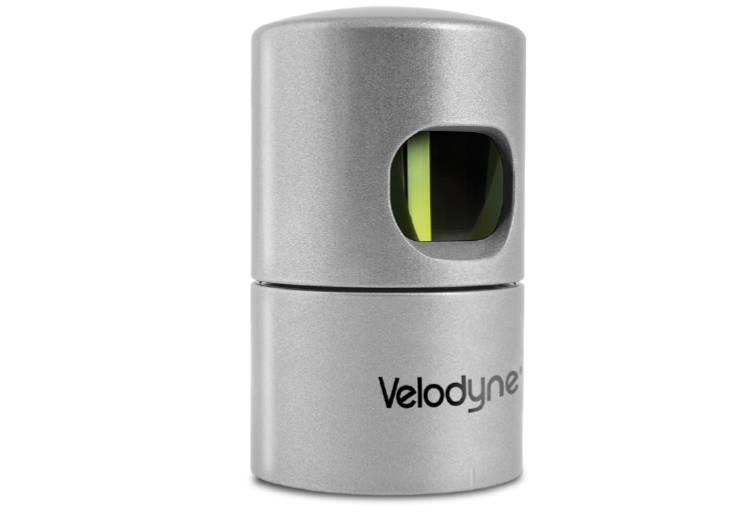 Stylishly small and ruggedly built with an unrivaled field of view, Velodyne’s HDL-32E LiDAR sensor was designed to exceed the demands of the most challenging, real-world industrial applications including autonomous vehicle control and operation, mobile terrestrial mapping, aerial 3D mapping and security surveillance. The HDL-32E measures only 144 mm by 85 mm and weighs 1.0 kg (plus 0.3 kg for cabling). Its compact size and weight makes it for all LiDAR applications, in particular those with constrained form factors and pricing requirements but still demand high performance. The HDL-32E’s innovative multi-channel array enables navigation and mapping systems to observe more of their environment than any other LiDAR sensor. The HDL-32E utilizes 32 LiDAR channels aligned from +10.67° to -30.67° to provide an unmatched vertical field of view, and its patented rotating head design delivers a real-time 360° horizontal field of view. The HDL-32E generates a point cloud of up to 695,000 points per second with a range of up to 100 m and a typical accuracy of ±2 cm. The resulting comprehensive point cloud coverage within a single data stream makes the HDL-32E an indispensable part of any sensor suite.